Since getting my Google Home, I’ve been slowly integrating anything in my house that I can, it all started with my Christmas Tree thanks to a Belkin WeMo power outlet and has progressed to my Garage Door. Now thanks to the powerful combination of IFTTT, a Harmony Home Hub and the Google Assistant, I can now control my TV via voice, from anywhere! While the Google Assistant / Home is definitely lacking in first party integrations with various smart home services, not to mention anything else, the one thing they have going for them is a great IFTTT integration. Via the IF app, you can program simple phrases that will trigger any action you want. IFTTT offers you the ability to program 3 phrases per applet eg “TV on” “Turn on TV” “Watch TV”, however, you have to remember and use one of those exact phrases. Not a huge deal, however, if Harmony had a first party integration you could use a more flexible natural language approach. The control for harmony as an IFTTT action is unfortunately limited to a Harmony “Activity”. Activities are pre-programmed macros that can automate the process of complex switching. For my “watch TV” activity the Harmony Hub will turn on the TV, turn on the amp, switch the amp to the correct source and then turn the TV to “tuner”. It would have been great if the IFTTT integration allowed you to control a single action, eg, change TV to channel 22. There is a workaround however, an activity can be comprised of a single action. As such, you could program an action to pause, play, turn the volume up or down etc. It’s not a perfect solution but nor is it really an issue. That said, it’s not actually that convenient doing a lot of these actions via voice as it needs the “Hey Google” keyword first. However, it’s still cool and that’s what really matters! What would be great is of you didn’t need the keyword as the Google home was trained to recognise the voices of the people in the house, alas this is not the case. If that ever comes however then the utility of such controls would be unbelievable, hell I’d even wear a wearable or get an implant to make that happen. With Harmony’s integration with many other services and compatible hardware, not to mention the RF learning ability of the device, the addition of a Harmony smart hub to your Google Assistant toolkit is indeed a handy thing, especially as you can program complex actions to automate tasks. 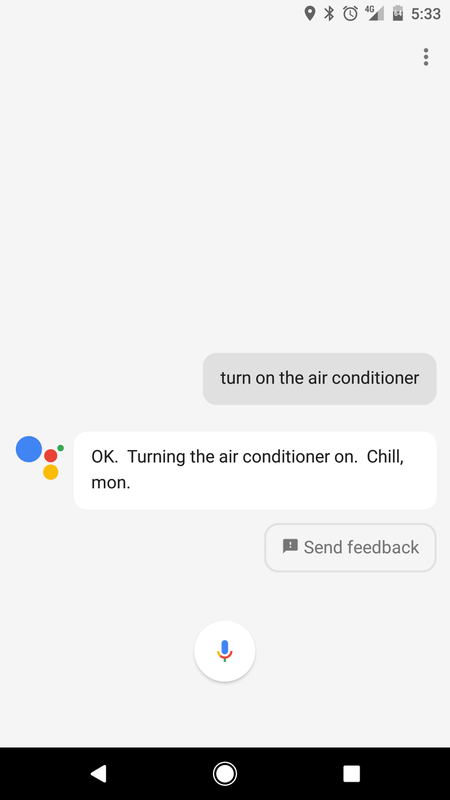 What do you want to see me try and automate next with the Google Assistant? Let me n0w below. I took a raspberry pi and used some infared LEDs to create my own remote. Using IFTTT maker channel I am able to send commands to a webserver on the raspberry pi and change the channel, volume, etc..
I’ve found that Smart Things hub combined with Google Home can achieve triggering an “Activity” via my Harmony Hub as well. The Smart Things/Google Home combo really opens up G Assistant’s capabilities. Granted full Harmony/G Assistant compatibility would be fantastic. I’ve become quite fond of IFTT as well. Didn’t you know you can opt out of Cortana and go back to the original “Xbox Pause”, etc. commands? Yeah, but I thought it would be better than the old one. Because that got worse over time to. Is it more reliable now? I have hard time setring up with my harmony and GH. I have two harmony hub ane sitting in my basement with all my home theater and I am using zone2 to my family room. Do i have to keep one hub to my family room for controlling my GH and TV? I am controlling my family room tv via logitech remote (ir). My philips hue works great. Any idea to make it work in my set up. I also have alexia but same problem. You need to use IFTTT as an intermediary. Basically join harmony to IFTTT via the app or the website. The create a new IFTTT aplet that uses assistant as a triggered (if this) and the harmony as the output (then that). Email me if you’re still having issues mate. Thanks for your reply. Yes. I have set up IFTT command. But still same. Is it due to my harmony hub is in the basement? Where is your email? I am trying to fi this since last few days. It’s been pretty good being able to turn the air conditioner on when I leave work in this hot weather. Done via IFTTT and the Harmony Hub as well. Indeed, I’ve got ducted, whish I could do that. Hmmmm that could be an interesting challenge!